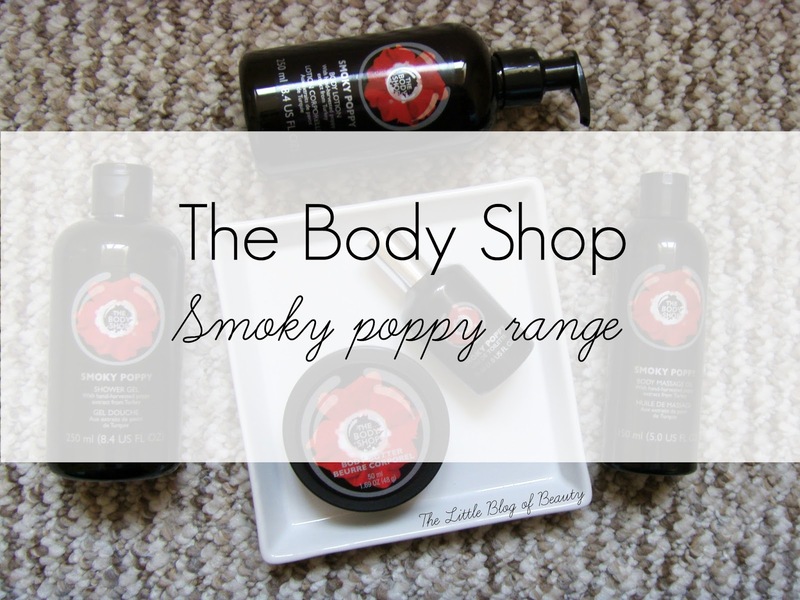 On the 3rd February The Body Shop will be launching a new range with a Smoky poppy fragrance. 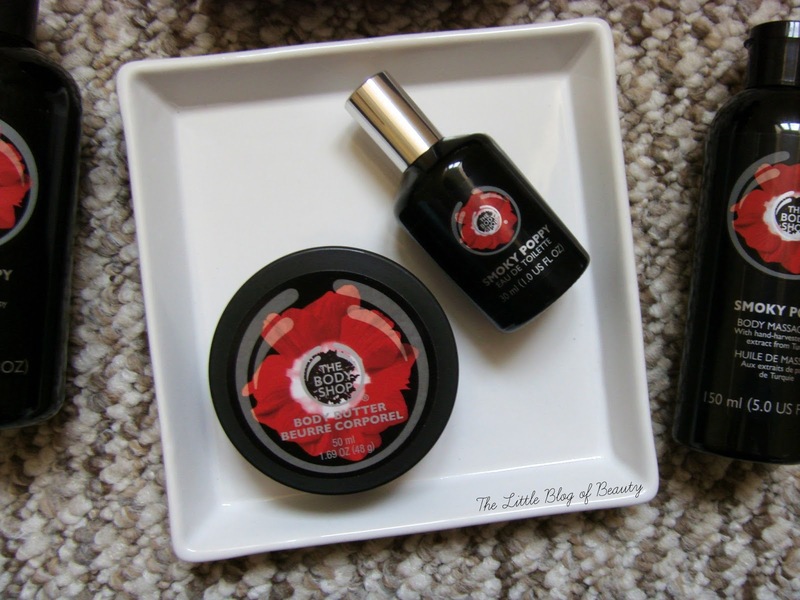 The Body Shop have very kindly sent me some products from the new range so I thought I'd introduce them to you. The range may include more products but I have the shower gel*, body butter*, body lotion*, massage oil* and Eau de toilette*. I've only received these in the last few days so I haven't actually tried any of them out yet but I will post reviews in the future as I use the products. Packaging wise the products have the same style of bottles/tubs as the same products in other ranges, but I do really like the black packaging (which might actually be a very dark maroon/brown shade) with the contrasting bright red poppy. With regard to the Smoky poppy fragrance I find this quite an unusual one and I don't think it's like the majority of their existing fragrances. I'm not the best at describing fragrances, and I have no idea what poppies smell like, but I'll give it a go! I find this a slightly masculine fragrance that to me smells musky and there's something slightly spicy about it. Mum said she thought it has an oriental smell to it so I'm not quite sure if she's picking up something different to me. I find the Eau de toilette quite strong at first, but I don't think the other product smell as strong as this. It actually really reminds me of one of my mums perfumes that she had a few years ago but as she's gone through about a million different ones I have no idea which one it is. I wasn't that keen on it on first sniff but as the scent settled on my skin it really began to grow on me. I'm not sure if this will be one that everyone will like but I think the people that do like it will love it. 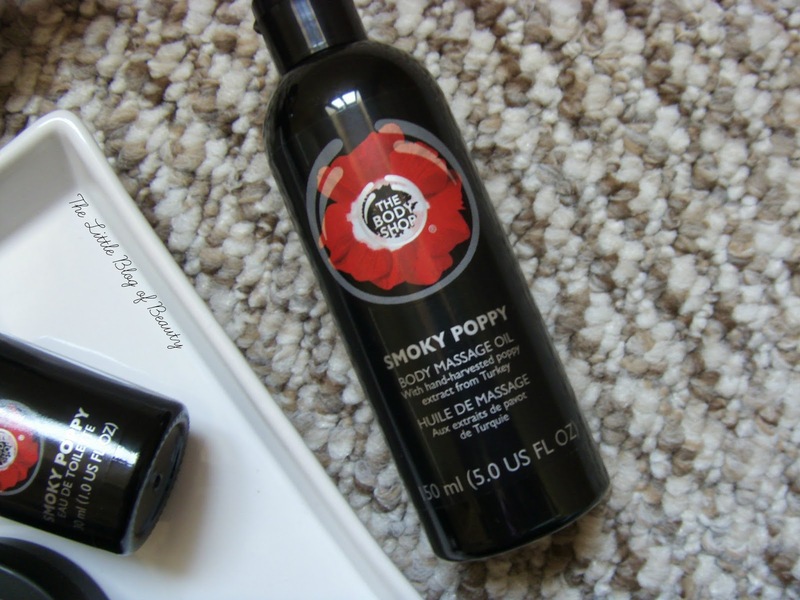 Are you looking forward to trying anything from the Smoky poppy range? Defiantly going to be giving these a sniff next time I am in store! Ooh can't wait to have a sniff at these! These are really lovely. I love the scent of the body butter and the body scrub. 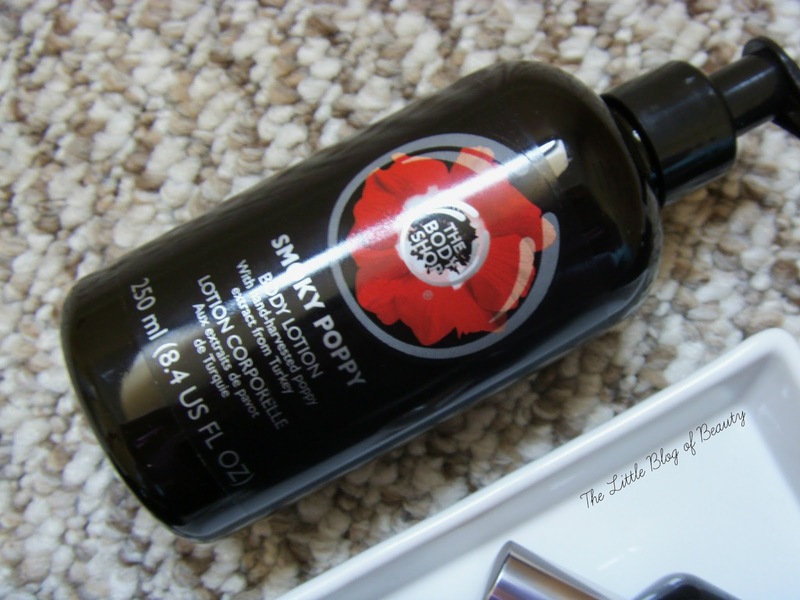 It's been a long time since I was seduced by a new release from The Body Shop.